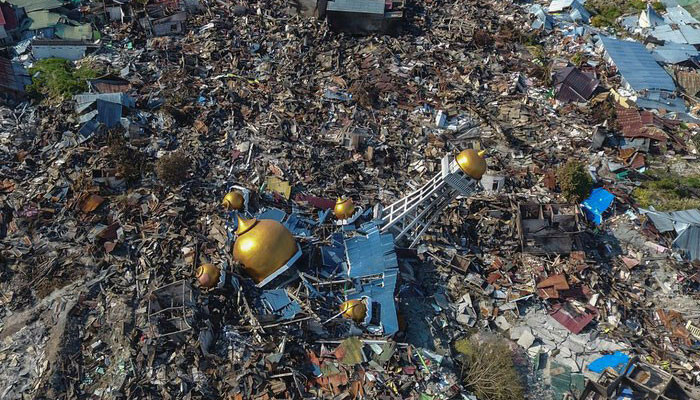 The earthquake and ensuing tsunami that devastated Central Sulawesi resulted in at least Rp 13.82 trillion (US$911 million) in economic losses, according to National Disaster Mitigation Agency (BNPB) data. As of Sunday, 2,256 people have been killed, 4,612 injured and 223,751 displaced from their homes as a result of the disasters that hit the regions of Palu, Donggala, Sigi, and Parigi Moutong. Around 68,451 houses, 327 places of worship, 265 schools, 78 offices and 362 shops were also damaged in the quake. "We expect the losses and damage caused by the disasters to continue to increase, since the data we are using are temporary in nature," BNPB spokesman Sutopo Purwo Nugroho said in a statement on Sunday. The Rp 13.82 trillion in economic losses consisted of Rp 1.99 trillion in lost income and Rp 11.83 trillion in physical damage.